Your hard work will pay off! 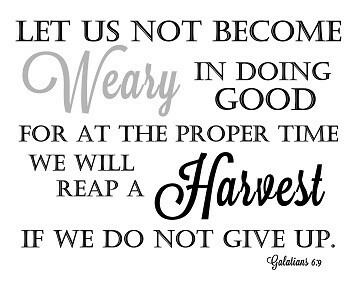 This verse reminds me about endurance and that hard work eventually pays off. So many times, life throws a curveball and plans to finish a project, a task, or even a college degree, can get put on the “back burner” of the priority list. Adult students have so many obstacles and so many distractions, during their college experience, it can sometimes be overwhelming… but the key is to stay focused, take one day at a time, and never give up! Changing your life for the better is a good thing… it may not be easy…but if you commit and stay focused, you will finish and you will be blessed! I have never heard anyone ever tell me in my seventeen years in higher education that they regret finishing their degree. I have only heard, them say… they should have finished it- a lot sooner! Timing is everything… It is your season, your time… to make the most of this opportunity! Some words of encouragement- to those struggling to stay focused… Pace yourself, pray for yourself, and prepare yourself for the finish line! You can do it!!! 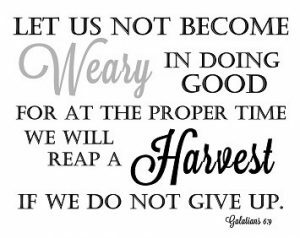 I’ve found that in academia, writing, and in ministry (most all other areas of life fit this bill, too) a thick cloud of competitiveness hovers over everything. One writer feels injured by the publications of another. The size of one Pastor’s church becomes the envy of ministers from neighboring churches. We see the teaching jobs our peers land as the jobs we didn’t get. There are several ingredients to this kind of unhealthy competition. A pinch of insecurity, a dash of ambition, an ounce of misplaced identity, three cups of pride. Unless the scholar, the writer, or the minister is ready to face these vices and flaws within himself, the problem of being unhealthily competitive will only compound as each new day will, to the “injured” artist or cleric, mean some new rejection. I do think, beyond what goes into toxic competitiveness, which is a kind of self love, we might best fight this ego driven impulse with the kind of deliberate generosity only found in an othered directed love. Specifically, a love for two objects: the Creator and the created. I must remind myself that I create because the Creator made me to. And that to begrudge the rewards or celebrate the failures of someone else’s art is to trod on the gift of creativity, and more importantly, the great gift Giver. I must love the Father of creativity. And if I love the Creator, I’ll see my fellow scholars, writers, and ministers not as competitors but as cocreators, laborers in the same union, members of the same guild, coinheritors of creation. This is generosity, and it should be the aim of every artist. And with creation itself—from the academic article to the novel to the sermon—I must remain enamored. Only when we love the created will we celebrate those who create. It’s our love for good writing that will free us from selfish jealousy of who wrote it. It’s our desire to see universities filled with good scholars and teachers that will prompt us to praise God when another scholar fills that academic post that we eyed. Love the Creator and His subcreators. Champion the created, being particularly mindful to rejoice over creations from others’ hands. And from love for God and for your cocreaters, do the kind of good, steady, unique work that only you were made to do. Ultimately, it’s the act of creating itself, done in love, that will do the transformative work of turning the self-stained rags of competitiveness into the divine fleece of generosity.